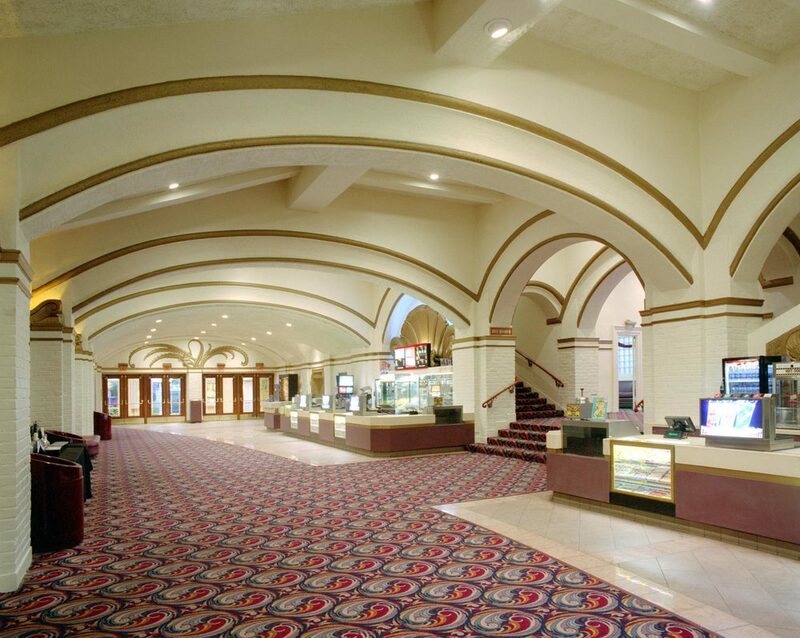 Mann Theatre Westwood Village — Behr Browers Architects Inc. This two level 12-plex theatre was carefully inserted into a very complex and fragmented series of properties. The concept was to articulate and design it so as to give it the appearance of multiple smaller buildings within Westwood. The majority of the perimeter ground floor space is retail while the interior areas and the upper level are dedicated to the theatre. 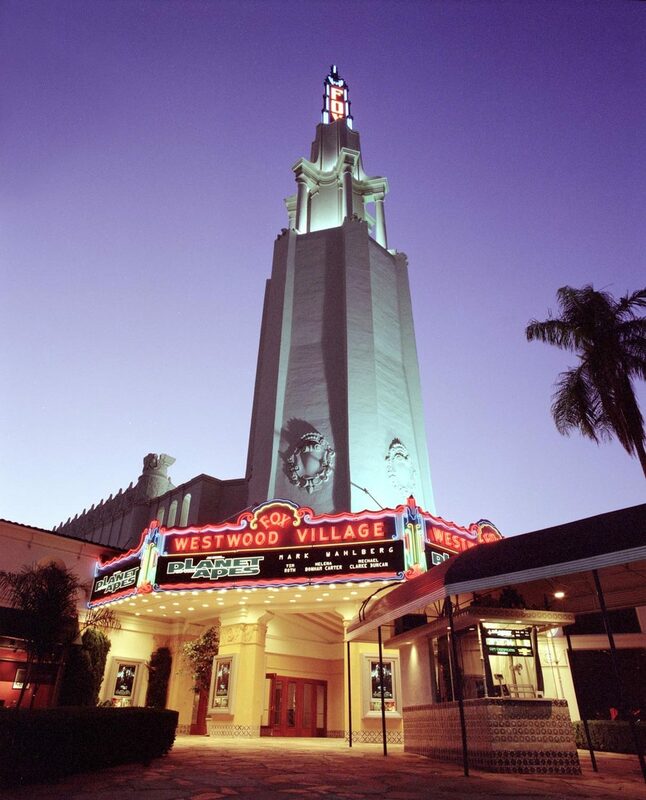 The design had to comply with Westwood’s Specific Plan Guidelines requiring the use of Spanish architecture and special features such as the tower.